“Me” time. I’ve never understood the concept. I found it to be a little obnoxious if even. Why do I need to take time for myself? As if I’m not constantly making decisions that benefit me. But this last month has been full of reflection. And I think I might finally understand the concept of taking time for yourself, although I’d probably call it something else. Generally speaking, the motto for my life has been: be a better human being. And you can imagine how quickly someone might fail at this quest. Every day I hadn’t accomplished something to save the world, advance my future or change a life, was a day that hadn’t lived up to my enormous expectations. And in that deep and ambitious search for purpose, (because that’s really what I’ve been trying to find) I found myself not only constantly physically and emotionally exhausted, but deeply guilt-ridden when I felt like I’d wasted my time. But here’s the thing: If I’m going to beat myself up for every time I watch a movie on Netflix instead of figuring out how to become a better human being, I lose part of my humanity in the process. I lose out on one of the most valuable gifts we have as humans, the gift of just being. In this last month, I took plenty of time to just enjoy this gift. 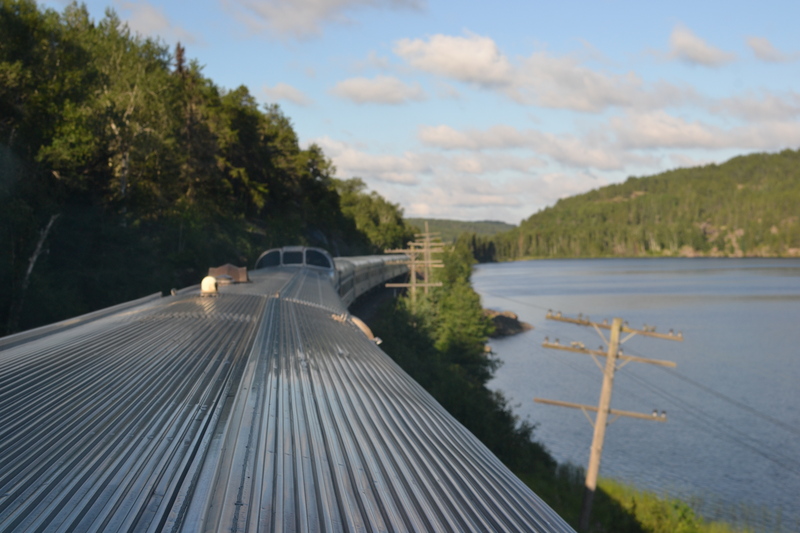 I took a 36-hour train ride solo from Winnipeg to Toronto (a “waste of time” I could’ve easily avoided by taking a plane). I stretched my musical muscles and released my inner gamer geek. I watched tv shows and movies. I went biking and worked muscles I didn’t know even know existed. I started sewing and painting again. All things I’ve been meaning to do for a while. But I just couldn’t give myself the time. I couldn’t see how any of these activities would add up to something meaningful, something I could use. But most importantly, I learned to write again. And I think that’s what really did the trick. Writing has played such a huge role in helping me process life. Every time I’ve put a pen to paper, I’ve come out with a strong sense of self and understanding of the world than I had before. So here’s to allowing yourself to just be. And in that process, becoming a better human being.